After making quilts using patterns, I had loads of scraps left over from expensive fabrics…both commercial and hand-dyed and wanted to use them somehow. I decided one day to go to my studio and start playing spontaneously. I had no idea or design in mind, I just wanted to experiment, play without thinking and see what would happen. I began constructing “blocks” of all different sizes and shapes and was having a great time enjoying this new creative process through trial and error. These experiments began a new era for me…creating large improvisational quilts and teaching the technique. The image above, “Rosemary’s Garden”, is an early improvisational quilt I made for my sister, who is an avid gardener. 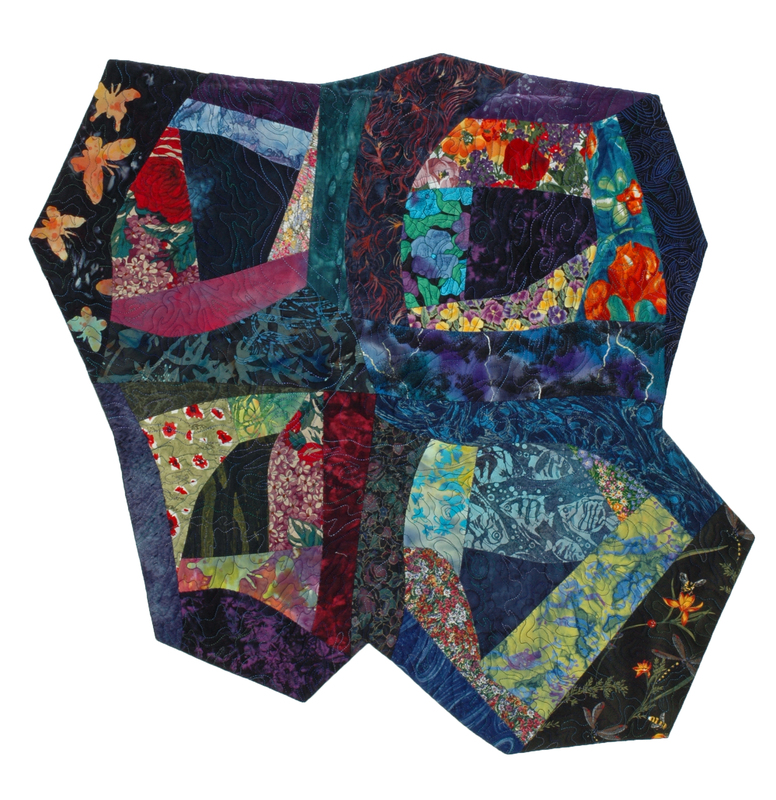 The quilt includes a fun variety of garden-related fabrics such as frogs (she has a pond), flowers and stormy fabrics. Tags: curiosity, fabric, garden, improvisation, nurture your creative spirit, perfection, quilt, quilting | Permalink.